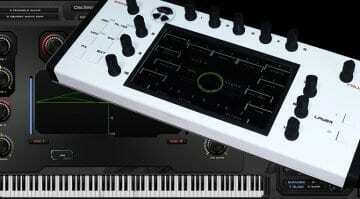 22 Results for "open source"
The MINI.MU is a simplified gesture-controlled musical instrument based on the MI.MU glove developed by Imogen Heap. 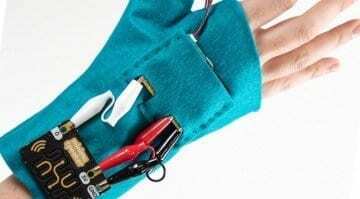 But this one you get to sew the gloves and write the code yourself. 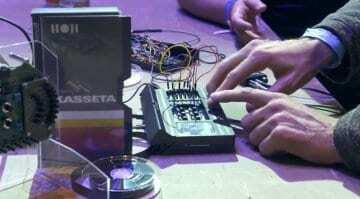 NonDestructive Design squeezed a Bastl Kastle into a VHS cassette, added some stuff like a keyboard and are moving forward to turn it into Kasetta - a very cool synthesizer. 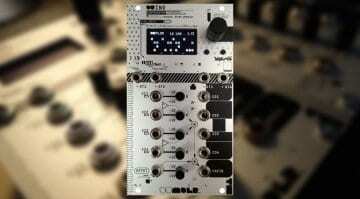 $20 will get you the Audible Instruments Preview module for virtual Eurorack VCV Rack. 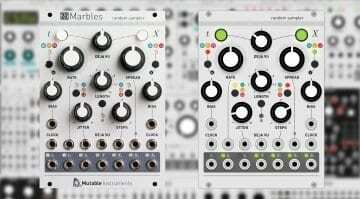 You can then run fully functional virtual versions of Mutable Instruments Plaits and now Marbles for free. 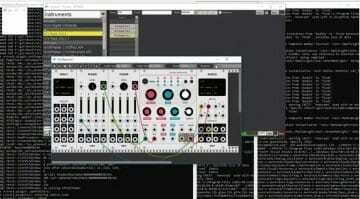 You can now get to preview Mutable Instruments modules inside VCVRack before they release the source code. 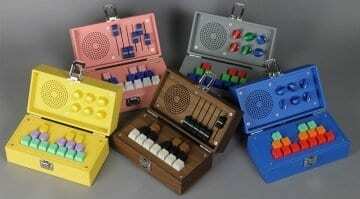 Audible Instrument Preview currently has Plaits ready for you to try and there will be more to follow. 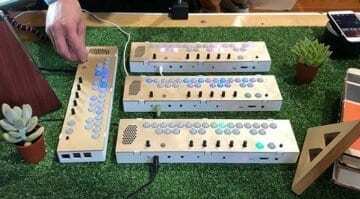 Bringing together aspects from the Organelle and Pocket Piano ONDA is an open platform of synthesis, effects and sampling in an enhanced, Raspberry Pi based form factor, with cool light up buttons. 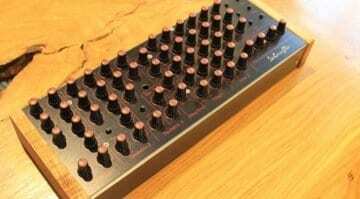 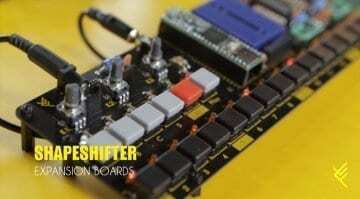 60 Knobs & 60 Jacks: the ultimate CV/MIDI controller? 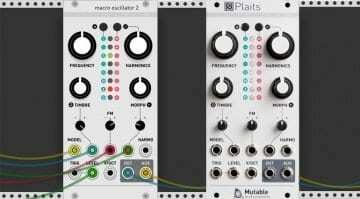 Million Machine March has taken the Bastl 60 Knobs and added 60 Jacks for patching control voltage directly into your DAW or other MIDI device. 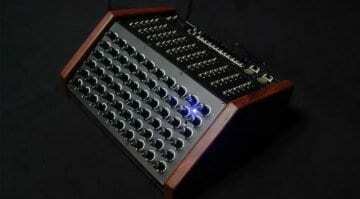 Is this the CV/MIDI hub we've been waiting for? 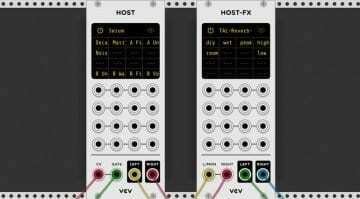 The tiny 8-bit modular miniMO open source synthesizer now has an alternative MIDI Sequencer firmware. 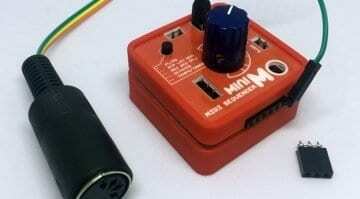 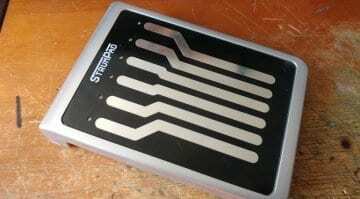 Add the MIDI Accessory Set and it becomes midiMO the world's smallest MIDI Step Sequencer. 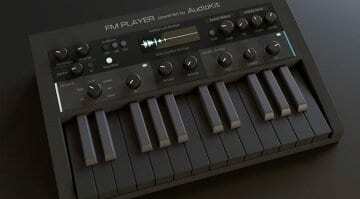 AudioKit have started the ball rolling with their DX7 instrument but they've made it open source and are inviting you to build your own sample-based instrument for iPad and sell it in the App Store.